Total Carat Weight: 1.45 ct. If you're looking for a pair of earrings to add sparkle to your jewelry wardrobe - this style has it all. 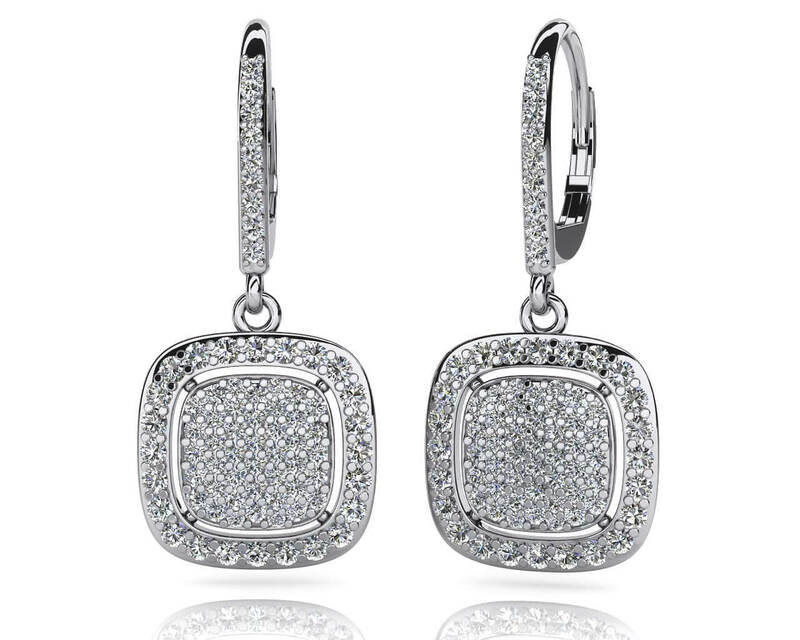 These beautiful diamond drop earrings feature a diamond lined lever back with a square shaped dangle. Each dangle portion contains a cluster of round diamonds, set with a secure prong setting. Our designers added a small gap between the cluster and the outer edge. 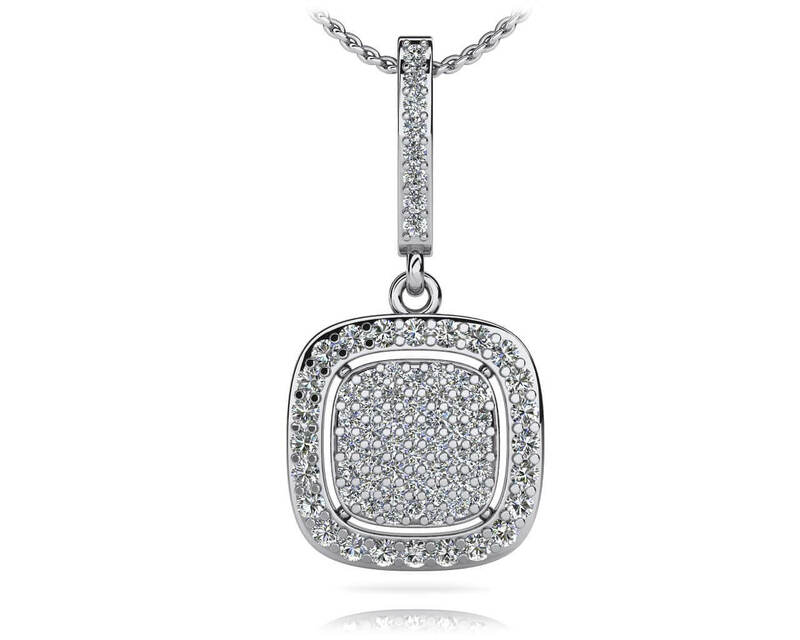 Available in gold or platinum and with 1.45 total diamond weight. Model Carat Weight: 1.45 ct. Effective Carat Weight: 1.41 ct.
Stone Carat Weight: 8X.005 ct., 94X.008 ct., 44X.015 ct.